On Saturday March 17, seventy (70) families became new members of several HDC housing communities as they were presented with keys and documents for their new homes. This Housing Distribution Ceremony took place at the Vieux Fort Housing Development in St. James. In delivering the Feature Address, Dr. the Honourable Keith Rowley, Prime Minister of Trinidad and Tobago, urged the new homeowners to build quality communities and to maintain the image of their surroundings and neighbourhoods. He also encouraged the homeowners to honour their financial commitments so that the proceeds from their mortgage and rental contributions will be used to build additional homes for other qualified citizens. 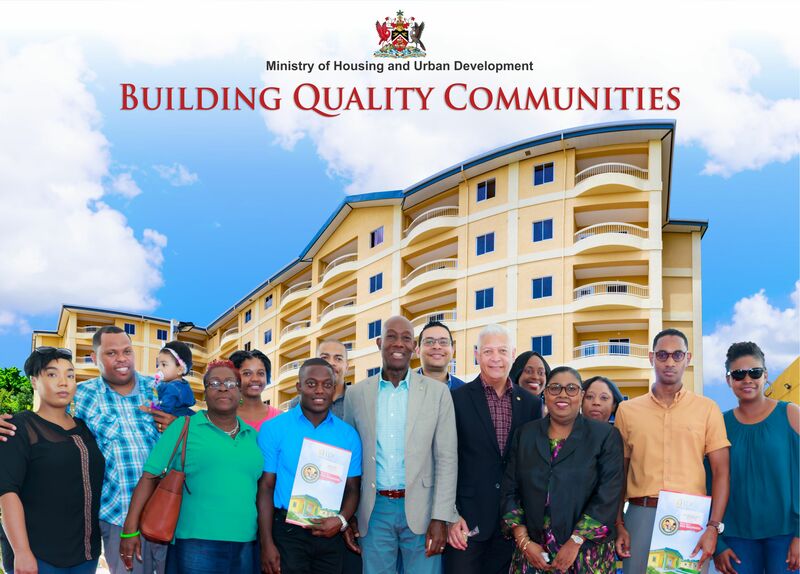 Housing and Urban Development Minister, the Honourable Randall Mitchell re-affirmed Government’s commitment to providing housing solutions to those most in need. Addressing the audience, he said, “I can tell you that the plan to provide affordable housing solutions for low and middle income earners, is still very much alive today and is part of this Government’s Vision 2030 Plan”. Also in attendance were MP for Port-of-Spain South, the Honourable Marlene McDonald; Mayor of the City of Port of Spain, His Worship Joel Martinez; Chairman of the Board of the HDC, Mr. Newman George; Managing Director of the HDC, Mr. Brent Lyons and other stakeholders. The event also featured a staged unit by COURTS and a display by Bmobile.